The Wreck-It Ralph press day, last month, included a lot of amazing opportunities. We got to watch the almost finished film in the morning, and then headed over to the Disney Animation Studios for more activities. One of the first things we got to do after screening the movie was to attend an interview with the movie’s director, Rich Moore, and producer Clark Spencer. We sat down with them in Roy Disney’s old office to discuss the film, the script, and the characters. Rich Moore: I started working at Disney four years ago, invited by John Lasseter, who’s a dear old friend to develop some ideas for movies, one of which I would direct. And, there had been a notion of like a video game based movie here for several, several years that had not been cracked. It had been kind of put back on the shelf about a year before I started here in 2008. When someone brought that up, I said, no, there used to be this idea for a video games movie about video game characters. I thought well that’s pretty interesting. I like video games. I like that type of world. It could be very kind of rich and fun and something that people would enjoy. Without going to kind of the versions that had been done before, I just started with that notion. After about two days, I thought this is a really, really bad idea. Because, the characters have no life. You know, they have one thing that they do. They have no free will. They do their same job over and over again every day. Who’s gonna want to watch that? That’s boring. I took a moment. And I thought, well, what if the main character didn’t like his job, you know? What if everyone else loved their jobs? And the main character didn’t like his job. That would be a fantastic kind of internal conflict for a protagonist to have. You know, and it began, this world of gigantic scope and kind of spectacle. Did any of the gaming companies turn you down? Clark Spencer: You know what’s interesting? No one turned us down. What was interesting, in the very beginning when we talked about this idea there was sort of that moment where we realized we’re actually gonna have to go forth and ask companies to license the characters. And there was always that question of will we be able to do it? And if so, how many characters would be, um, available to come into the film? We met with a lot of the gaming companies, Namco specifically. We pitched the film, you could see the people get excited about the idea of the movie. Their biggest question was to make sure that their character was put into the film in an organic way that felt like it was their character. Nintendo for example, they were like Bowser and Badmouth make complete sense. Rich Moore: It totally worked but we couldn’t find the perfect way to put Mario into the film in a way that felt totally organic. Clark Spencer: That was really more the conversation and to all the gaming companies’ credit. We’re the Walt Disney Company. We have lots of characters that we would be as protective of. That’s where their protection was. It was more about if it feels like it’s organic and it makes sense for our character, we’re excited to be apart of it. If it feels like it’s just a cameo for no purpose sake then we’re not as interested. Was it a conscious choice to make the female character not princess-y? Rich Moore: Well, I don’t think that it was something from day one that was like we want to do this. These things develop over time. You know, as we kind of work with the character and got to know her, that’s not who she is. We love her as her. You know, it becomes a point where it becomes a conscious decision. But it was not something that began on day one. And add Sarah Silverman into it and it becomes a whole new thing. Rich Moore: Right a whole other kind. it was a conscious decision to have very strong female characters as well as male. I think you can do a strong female character as a princess. You know, but this one just did not feel like that female character. To what degree did the actors affect the characters? Rich Moore: I’m really, really fortunate to have worked with some fantastic actors on this movie. I’m a huge fan of John’s (John C. Reilly). What I love about him is how organic he is in finding his character and his performances and how he shapes them. We had John and the other actors meet with the animators so they would talk and work together. Then you have a group of animators who’s giving physical performance of what you see. As a director, it was great to kind of bring the vocal talent and the visual talent together and have them communicate to one another. It was like watching two halves of a brain kind of come together and talk about their process and how it works. In these kinds of union you start to get something that transcends, just like Dorie, for example, from Finding Nemo. I love talking to passionate people. 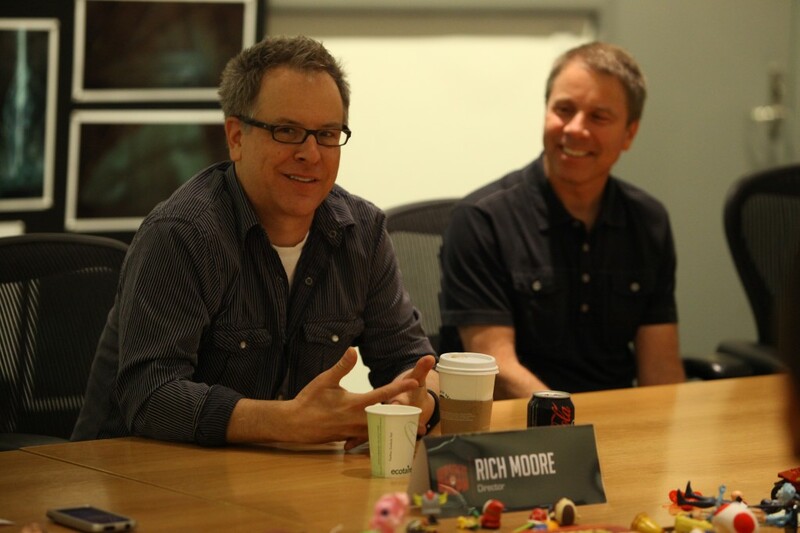 Rick Moore and Clark Spencer were both very excited and passionate about making Wreck-It Ralph! I can’t wait to see it again! 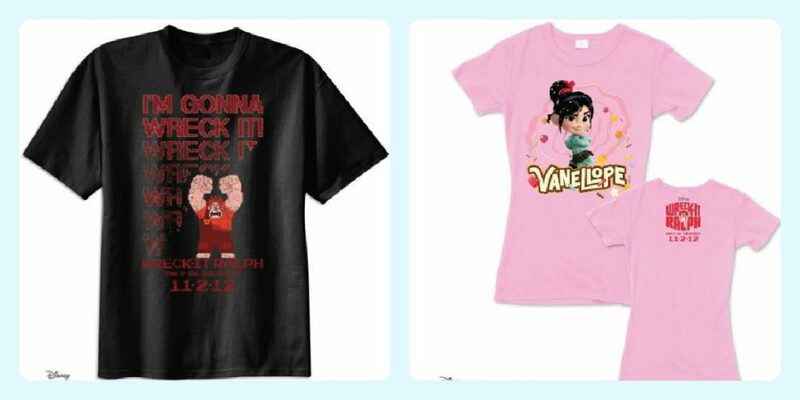 To celebrate I have a Wreck-It Ralph Giveaway! *Please note: If you win this prize package on other sites, you will only receive one prize pack total. A huge thank you goes out to Disney who will provide all accommodations and airfare for the event. While this event is sponsored by Disney, all opinions are 100% mine! Vanellope Von Schweetz looks fun! Great interview. Can’t wait to see this movie. Great interview. I’m so looking foward to that movie!! Sonic the Hedgehog; I always loved that game. Can’t wait to see this movie. Princess Peach! I know my kids would enjoy that! My daughter would love princess peach. Pac Man! I can’t wait to see this movie. Hoping to see Ms. Pacman. I want to thank you for this awesome sweep and hope to win 🙂 Thanks !!!!! I’d like to see Sonic the Hedgehog! I want to see Pac-Man. Princess Peach as always been a favorite from my childhood. gotta go with sonic. the only video game i was good at. I would love to see Donkey Kong. I always loved that game as a kid. loved your interview and thanks for the giveaway. Hoping to see Ms. Pacman. Donkey Kong is who I would like to see. I saw the movie already, but I was hoping to see link or zelda somewhere around there, but i didn’t!! I love the ghosts from Pac Man! I want to see Mario! !